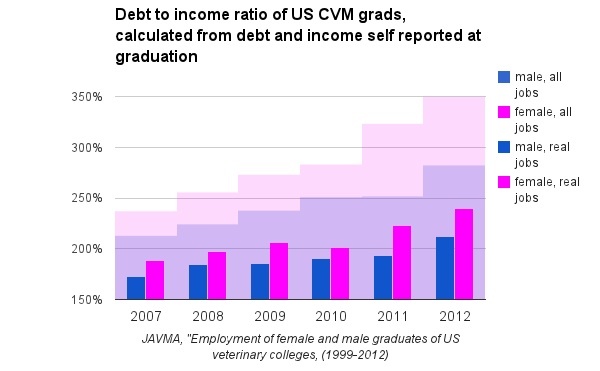 The veterinary profession is currently suffering the effects of decades of decisions based on unexamined beliefs and subjective surveys rather than objective, statistically valid evidence. With respect to workforce needs and career opportunities, we are operating in the dark. 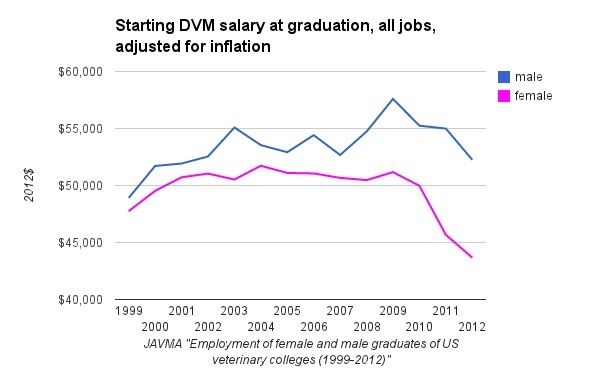 There are signs of potential improvement, most notably the 2013 AVMA-IHS Veterinary Workforce Study. We must improve qualitatively, though, if we are to better the economic condition of our profession- which we must do to maintain the quality of service we provide to society. (c) McCormick, DF. Telephone interview with Gates, RG. 7 Nov 2012. McCormick is a veterinary practice appraiser and practice transaction specialist. He is a Charter Member of VetPartners where he serves on the VetPartners Valuation Council. If you love to watch live TV and want to see sports just try USTVNow mobile application and enjoy all TV channels for free anywhere. In this modern age high http://top10essayservices.com/ quality material is available now. As per best resume writing services people can fine best body of jeeps with best material. They can find grab handles in their jeeps that are perfect for jeeps. People can find solid steel for their jeep. In this modern age high quality material is available now. As per best resume writing services people can fine best body of jeeps with best material. They can find grab handles in their jeeps that are perfect for jeeps. People can find solid steel for their jeep. I really like this topic, and it makes us think about the future. Surely this lack of analytical ability handicaps the profession’s response ability. I thank you for posting this thought provoking article. We all need a relaxed life. To relax, you can play games or watch movies with Showbox. Here you will be able to download showbox http://downloadshowboxmovies.com/ app on your Android mobile. Whenever we work, we must love what we’re doing. This is what I believe in. Thanks once again! I really like this topic, and it makes us think about the future. Surely this lack of analytical ability handicaps the profession’s response ability. I thank you for posting this thought provoking article. We all need a relaxed life. To relax, you can play games or watch movies with Showbox. Here you will be able to download <a href=“”http://downloadshowboxmovies.com/“>http://downloadshowboxmovies.com/”>showbox app</a> on your Android mobile. Whenever we work, we must love what we’re doing. This is what I believe in. Thanks once again! Yes and yes, Brendan. We are behind the times, absolutely. The technical capability- the software and skills- to have the answers we need from the data we already generate is available to anyone, free. Getting all the organizations to make their data available…’nother story entirely! Are other fields equally behind? Yes and no. The Physician masterfile is comprehensive, but has its own issues. And I’m not aware of any similar comprehensive data base for other professions. One issue that exists in all fields is an unwillingess to collect objective life event data- when people marry, have kids, move, buy a house, buy or start a business, divorce, retire, die. Those ar ethe true indices that tell us what effect our vocation, profession, career, job is truly having on us, compared to other paths we could have taken. Thought-provoking. 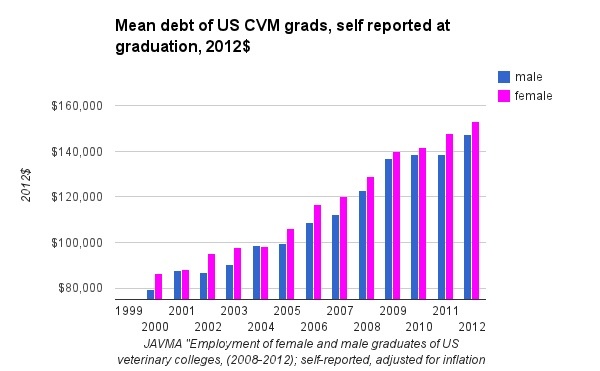 Quick question: Is veterinary medicine behind the times in compiling better data about graduates, salaries, etc., or is this a problem in many fields? I truly appreciate this posting. It is well organized and well written and I look forward to the other installments. 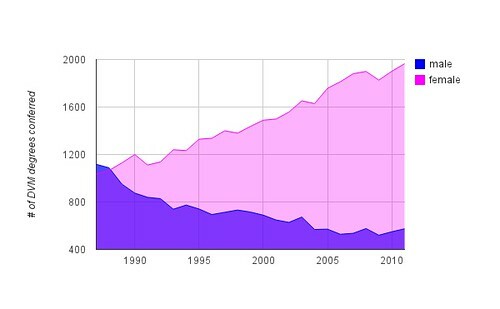 My only comment is regarding the Workforce Summary from the Bureau of Labor Statistics. You comment that this was the one bright outlook for the profession that has been reported in recent years. When I spoke with Megan Sweitzer, the primary author of the report, she noted that “growth” included income for online pharmacies and did not consider the impact of changes in vaccine protocol and proliferation of streetcorner vaccine clinics. An updated study was meant to be released last fall, but has not yet seen the light of day.